Today we're heading out the door, into the snowy (beautiful) weather (I don't mind driving in the snow at all)...to do a little thrift-store shopping (we're good at that) for my girls. My oldest, Amber, heads off to BYU-Idaho this week - where it's often much colder than here - and...she's needing some warm sweaters and pants. From Grandma's Front Porch this Morning.... LOVE it!!! 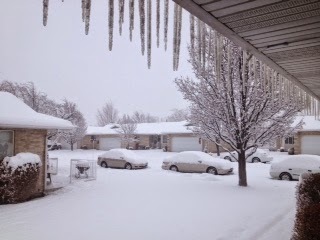 My son, Andrew, will be writing home today from his mission in Idaho (a bit cold up that way, too). He is able to email home each Monday - which is something I look forward to all week. He's only been out for a month and spent his first Christmas in an unfamiliar area and yet with loving and kind people. I couldn't feel more grateful for the kindnesses that have been shown him. 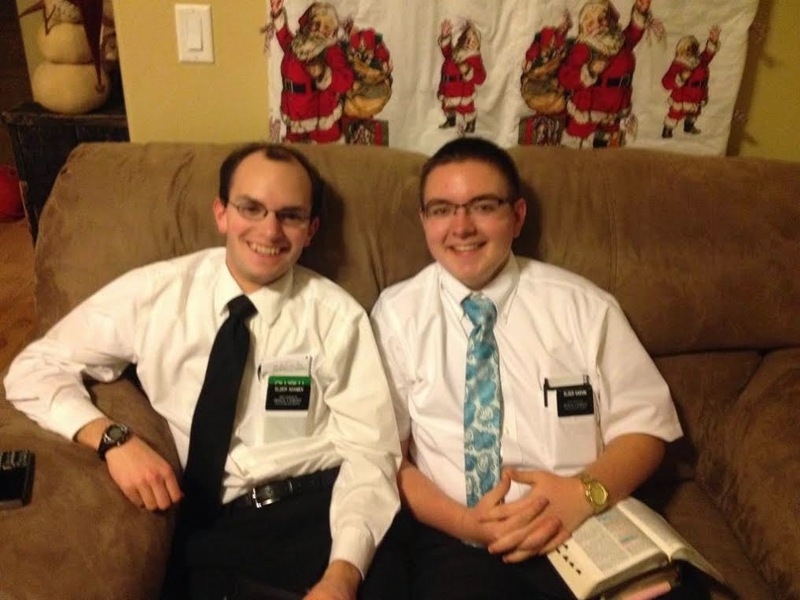 But, today, before we leave, I wanted to share a bit of Wisdom from a Missionary Son. Truly, the Spirit of the Lord guides and directs these missionaries. They are in His service and He blesses them. "I hope that as you are celebrating (Christmas); you can remember the true, first and real gift of Christmas! Jesus Christ and His Atonement are the only reasons we have a reason to Celebrate." "Without those two things, we would not be able to be truly happy because this world would be all there is." "It would be so scary and lonely to not have the comfort and peace that comes from God's love and plan for us." "In the Bible Dictionary it says 'Faith is kindled by hearing the testimony of those who have faith.' As we all make the effort to share our beliefs and testimony with others...we are blessed for being obedient for doing God's will of sharing the gospel with 'all nations, kindreds, tongues, and people". "If you say what the Spirit tells you to, they (others') won't have any thoughts or feelings but those of peace, learning, and most importantly, the Spirit!" "Write down the inspiration you receive." Well, gotta run now. My daughter has an appointment in 35 minutes and we need to get out the door. But, my wish for you all - is for a glorious and grand new year; filled with the Love of God and of all mankind! It's a quest we all have and desire - since it's the one that will bring us the greatest peace.